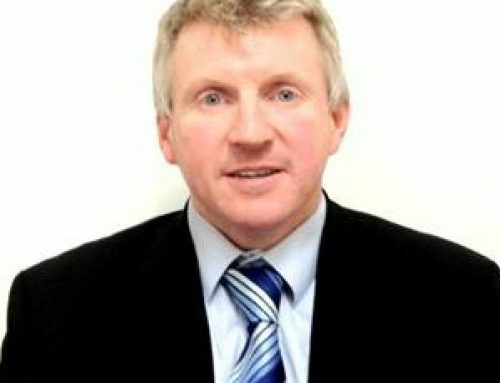 As part of gaining a better understanding of the part people play in the project and what their individual thoughts or on the programme of work, we will be undertaking a series of Question and Answer sessions with key people, partners and stakeholders and sharing these thoughts with all those involved in the project. 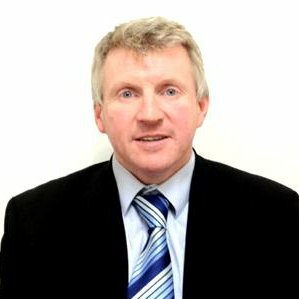 This issue, we are speaking to the Project Coordinator, Dr William Hynes, from Future Analytics. Question 1: How do you think the project will benefit the wider public? Answer: The RESILENS project is of immense benefit to the wider public with the project outputs directly enabling CI stakeholders to adequately quantify their level of resilience, thereby resulting in a more resilient infrastructure. In-turn this will bolster the preparation of CIs with regards to potential disaster events, as well as enhance post disaster operational continuity. Ultimately, more resilient CIs will ensure a maintenance of quality of life for the public, and more stability and safer living environments. Question 2: How are you engaging the key target users? Answer: The key target users for the RESILENS outputs are CI providers and guardians, as well as rescuers (encompassing emergency services and civil protection groups) and the wider public. The project engages end users from the onset of the project and seeks to incorporate learning/knowledge from the CI and rescue sphere through the participation of key target end users as partners in the project. Having such representative end users as consortium partners provides the project with the opportunity for continuous engagement with the target users while the resilience management tools and ERMG is developed. The project end user partners also provide an excellent platform for conducting testing and pilot demonstrations which will consequently helps to prove the applicability of the RESILENS project outputs, which can then be further expanded for use by other end users outside the consortium. Question 3: Why do you think this project is going to be successful? Answer: I am confident the project is going to be successful because of the fantastic consortium which we have. The RESILENS project brings together an experienced and multi-disciplinary team with a highly diverse expertise and skills set. 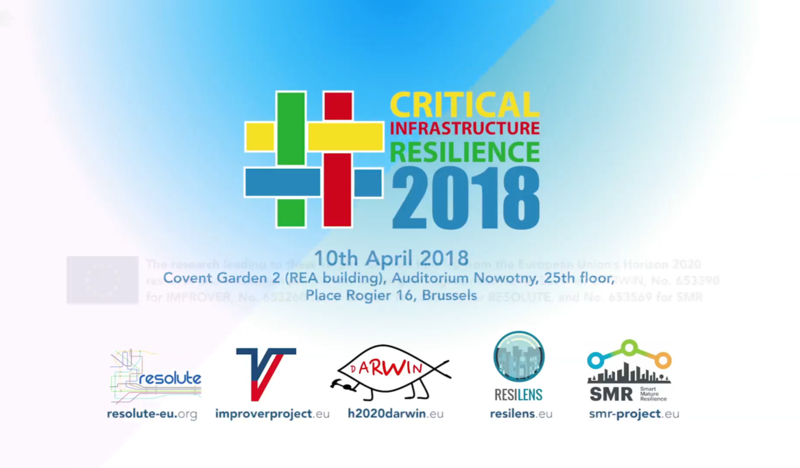 The consortium which consists of CI providers, SMEs, research organisations, academic partners and civil protection groups, collectively cover and contribute the necessary expertise to effectively achieve the project objectives and significantly advance the application and operationalisation of resilience principles to the CI sector. The “community of users” collaboration with other projects in the resilience sphere ensures an improvement in information sharing which will in-turn lead to greater success in delivering the project outputs. Question 4: What is the legacy of the project? Answer: There has increasingly been a need for a resilience management tools by CI stakeholders to support business continuity planning and aid the identification of infrastructural areas or components which require resilience reinforcement (hence support the efficient resource allocation to bolster the CI resilience). 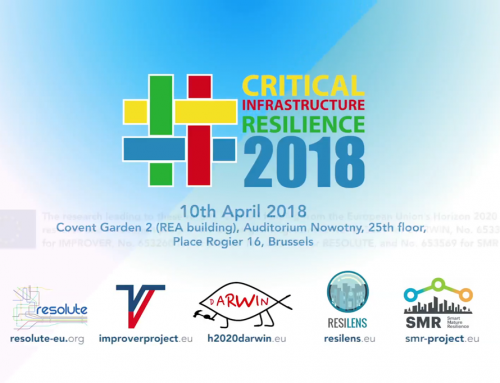 A legacy of the RESILENS project will therefore be delivering a functional, operational platform which can be used by stakeholders to assess their infrastructural resilience (including providing a resilience score and identification of aspects of their CI which could be improved). The RESILENS platform will also house a formulated and operationalised ERMG and will contain a learning component to educate and improve the knowledge of end users on resilience management. It is expected that the RESILENS tools developed will not be restricted for use in solely the CI sector, but will also be expanded and adapted for use in the urban and built infrastructure resilience sphere. It is also envisaged that the RESILENS outputs will provide a solid foundation on which future EU regulatory standards for use across all CI sectors may be formulated. Question 5: How does the project work in-conjunction with other similar projects? Answer: The project involves active engagement and collaboration with other H2020 and FP 7 projects focused on the resilience area (including the DRIVER project). Where appropriate, it seeks to learn from the different approaches applied in those projects. 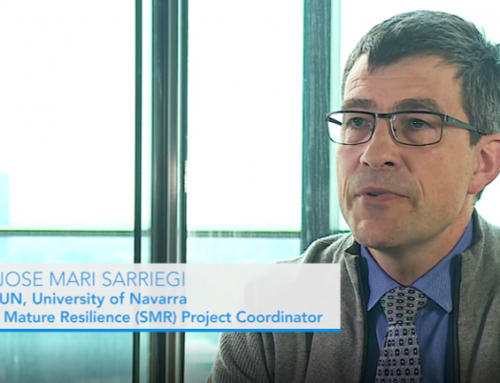 For example, the FP7 HARMONISE project which is in its latter phases has equipped this project with knowledge on resilience approaches for urban infrastructures which can be tailored for CI. The RESILENS project also harnesses all opportunities for information sharing presented by co-ordination meetings (organised by the EC) and workshops with similar projects. 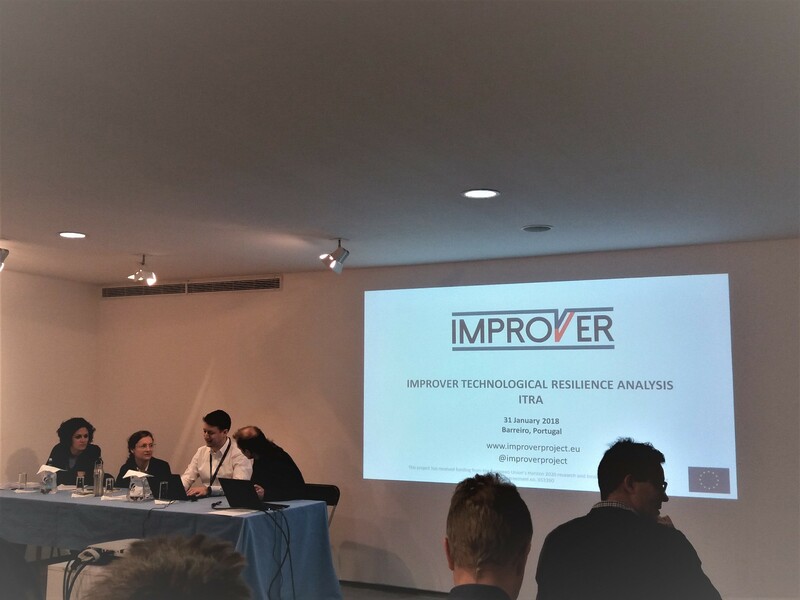 For instance, RESILENS recently attended the IMPROVER workshop on CI resilience in Copenhagen, Denmark (September, 2015) and participated in the EC organised DRS-7 coordination meeting in Brussels, Belgium (September, 2015). As previously mentioned, the community of users which the RESILENS project is part of, provides an avenue for similar projects to continuously share information which in-turn vastly improves the direction and quality of the outputs of the projects involved.